12.09.2016 A lot of requested a download-version. So we release it now to download it for free. 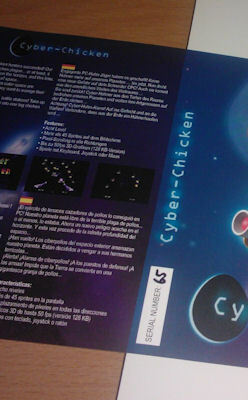 The disc-version can be downloaded here: Cyber_Chicken_Disc.zip. 06.04.2015 All sold! This completes the project. 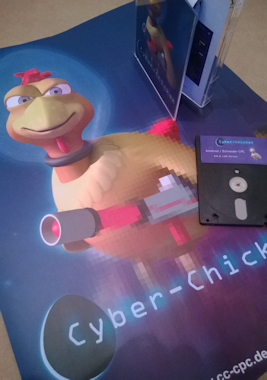 A project for the Amiga is planned in the future. When the time comes, I'll announce here also an info. 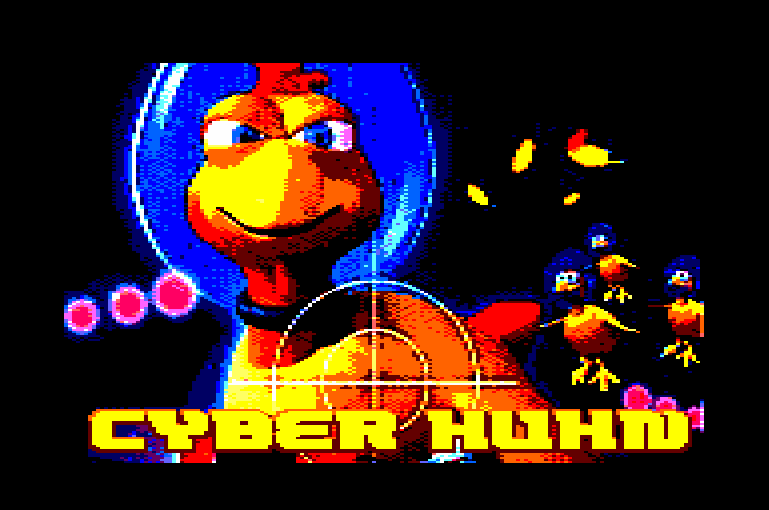 24.02.2015 As of today, no official games more are available and all Cyber-Chicken games are sold. 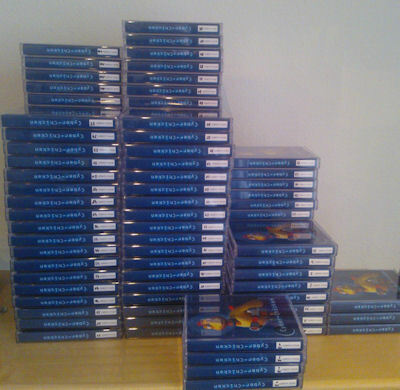 Only two one press version (tape) can be purchased for 8,- (same as original but no serial number/nickname!). THANK YOU for your support. 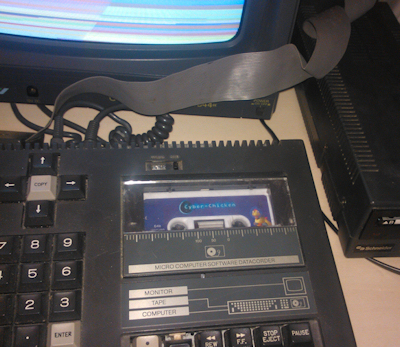 28.01.2015 Only 8 2 pieces are left: 5 2 x tape! Ensures a piece of history! 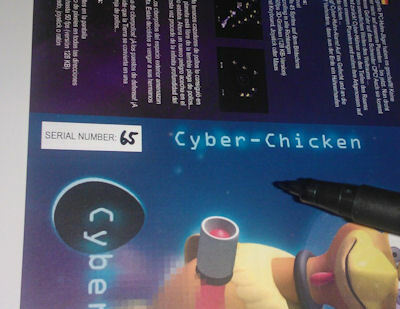 01.12.2014 The price of the last copies was reduced. Disk 12 euro, tape-version 10 Euro. 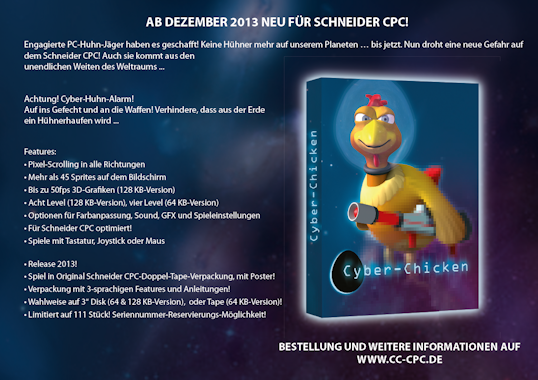 16.12.2013 The disc version is finished. 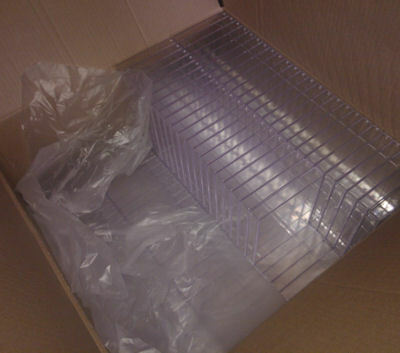 The pre-orders will be shipped tomorrow! 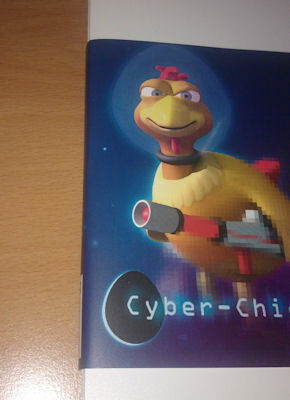 13.12.2013 A manual is available at "About the game". 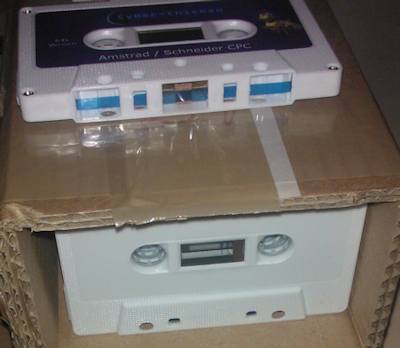 02.12.2013 The tape version is finshed and will be shipped now. 24.11.2013 115 handmade boxes are ready! 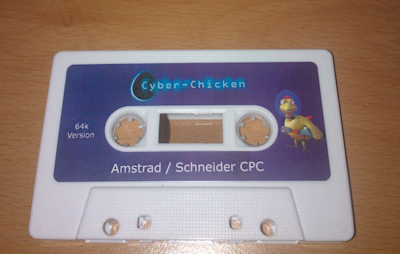 04.11.2013 First pictures of the tape version: label, copy, test! 21.10.2013 The Website is online!